I'm working on a quilt right now that is way outside my comfort zone. When a lot of quilters say that they mean they're working on something bright, and artsy, and fun. When I say it I mean pastel, and simple, and sweet. 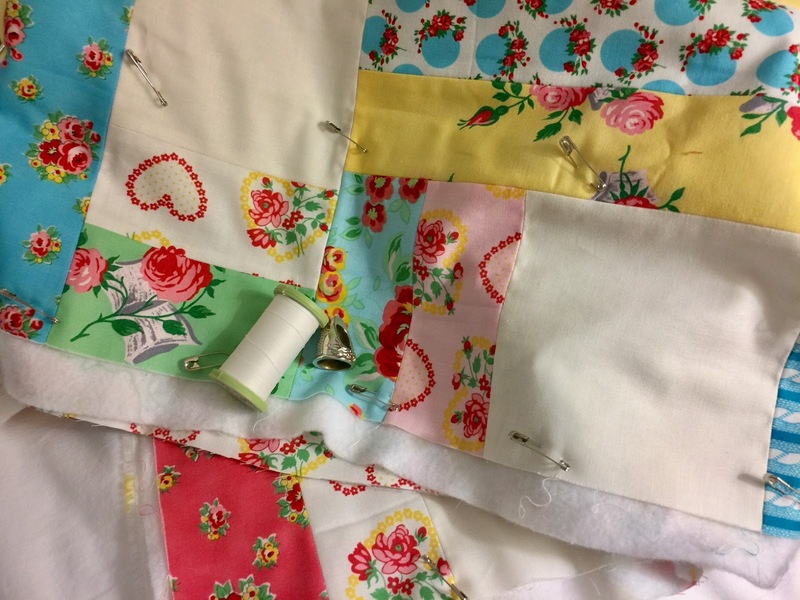 A group of online quilty friends had a challenge quilt-along in July. We were to make a quilt using the Two-Step pattern by Missouri Star Company's Jenny Doan. You can see her video tutorial here. 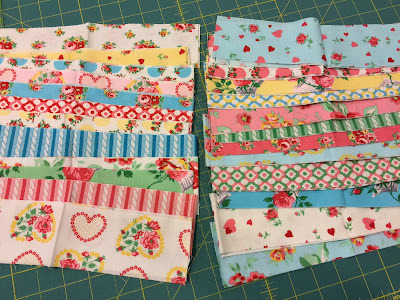 I thought this would be a good opportunity to make a "put back for the great-grands" quilt, and I had a fat-quarter tower I had bought just for that purpose. 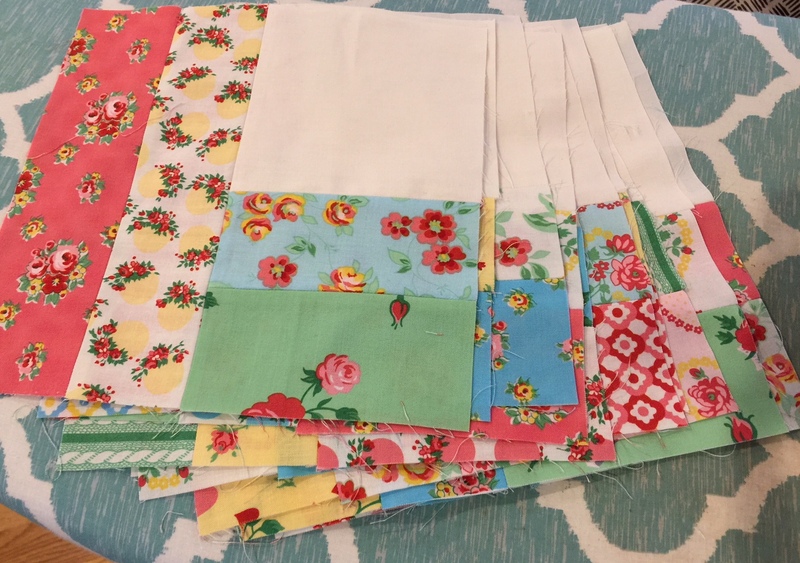 It's the Love & Friendship line by Verna Mosquera for Free Spirit Fabrics. See what I mean? Not the sort of fabrics I normally work with. ..... but, you do need to pay attention when you put them together. 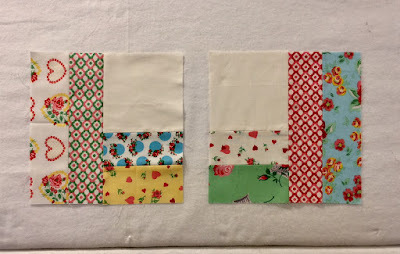 All the blocks were supposed to look like the one on the left. Thankfully only two of them had to be ripped out and remade because they were like the block on the right. Whew! ..... and now it's basted and ready to hand quilt. The final step will be setting it aside for some special someone to love and treasure some day. I know I've fallen in love with it. Who would've thought? 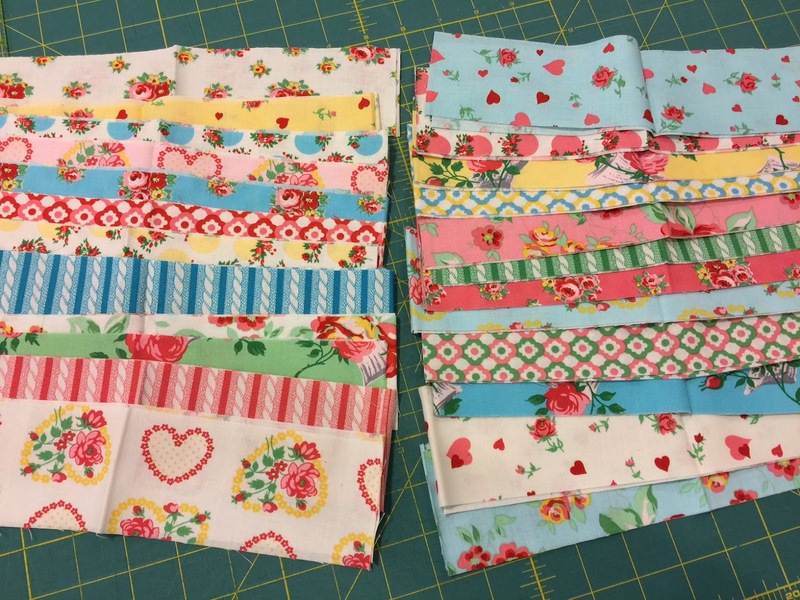 I just watched her video for the two step the other day and I have a jelly roll of 30's repros that I have no idea why I bought it ( must have been a really great sale! ); they are so not me. I have what I need for the inner part but nothing 30's repro in my yardage stash so I've put it off for a bit while I work on other projects. I really like what you did and totally understand about stepping out of comfort zones. That's really pretty, enjoy your hand quilting. It's pretty. It's interesting how trying stuff outside of the norm grows on you. I've had that with a few quilt's color schemes. 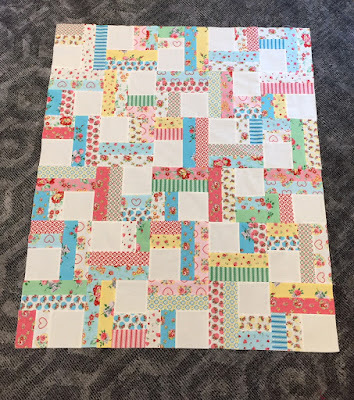 I struggle with pretty too - I always want to add something in to mess with the sweetness - but this has ended up being a lovely quilt. A very pretty quilt. It's nice to work outside our comfort zones occasionally, it can really lead to the unexpected.